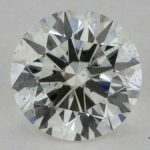 What is Diamond Polish Grade? 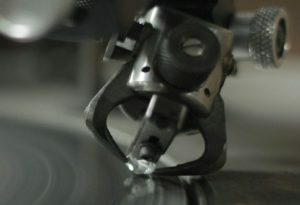 When a diamond is polished from rough stone into the shiny gem that you are familiar with, the diamond cutter uses a polishing wheel coated with diamond dust (yes, sounds very fairy tail but its true!). Occasionally this process can leave marks in the form of lines or burn marks on the diamond being polished. Since diamond brilliance is determined by how well light shines through it, these marks can impact the overall look of the diamond. 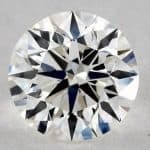 The diamond grading companies such as GIA and AGS (Read more about Diamonds Certifications) have come up with a method for grading the diamond polish and make a notation of this on the diamond certificate. In the case of GIA the grades given are Excellent, Very Good, Good, Fair or Poor. In the case of AGS the grades are numerical and go form 0 -Ideal as the best diamond polish (Extremely difficult to locate under 10x magnification) down to 10- Poor (Obvious to the unaided eye). 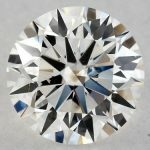 Should I Care About Diamond Polish Grade? The truth is that as long as you stay away from anything less then a “Good” in GIA or AGS-3 grading you are fine. Obviously the higher you go up in grading the higher the cost of the diamond. While there is no fixed amount of this increase but it can be substantial. Neither Blue Nile nor James Allen sell diamonds with less than a “good” grade, so as long as you buy from them you are in good shape and can ignore this. You will never be able to tell the difference between a Good, Very Good, or Excellent with your eye, and even using a loupe at 10X magnification you need to really know what you are looking for! Again, don’t waste money on upgrading the polish! JERRY: Alright, alright. Alright, that’s enough! Let’s get back to my deal. That undercoating, that’s just a rip-off, isn’t it, David? PUDDY: Oh, we don’t even know what it is. Well, think of Diamond Polish as the undercoating of your diamond! I am here to make sure you get the insider deal! 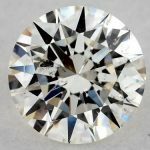 How Do I know the Diamond Polish Grade? 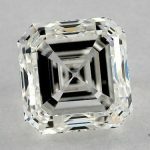 As I mentioned above both AGS and GIA list the diamond polish grading on their certificates. Sites such as Blue Nile and James Allen will also list the polish grade on the diamond information page. Note: Buying a diamond can be a nerve-racking experience. If you want my expert advice on buying the best diamond just drop me a note and tell me what you are looking for and how much you want to spend and I will get back to you with my personal recommendations for a beautiful stone that fits in your budget. This is a FREE service, doesn’t cost you a dime extra, (in fact I am sure that it almost every case I can save you lots of money) and there is absolutely no commitment. Q&A: Looking for Diamond Stud Earrings – Where Do I Start? Q&A: How to Verify a Diamond Certificate?